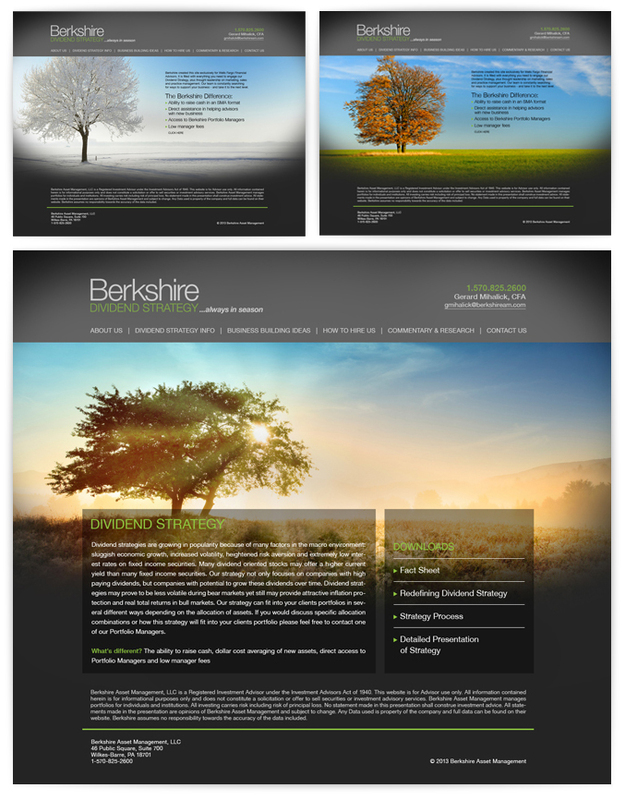 We’ve worked with the Berkshire Dividend Strategy for sometime now, creating a wide variety of investment newsletters, portfolio sells sheets and maintaining the firm’s website. Operating out of Wilkes-Barre, Berkshire has seen steady growth in the area and nationwide since it’s founding in 1986. So when they decided it was time to update their branding and take the company in a new direction visually, we were happy to be on board. The result was quite literally, a brand for all season: Jess worked hand-in-hand with the client to create an engaging fresh brand image, with emphasis on high resolution photography demonstrating the changing seasons.